Osnabruck is a city of 164,374 people, with an area of 120 km2, a population density of 1,400 people per km2 (ppkm2) and an elevation of 63m. Hamilton is a city of 169,300 people, with an area of 110 km2, a population density of 1,500 ppkm2, and an elevation of 40m. 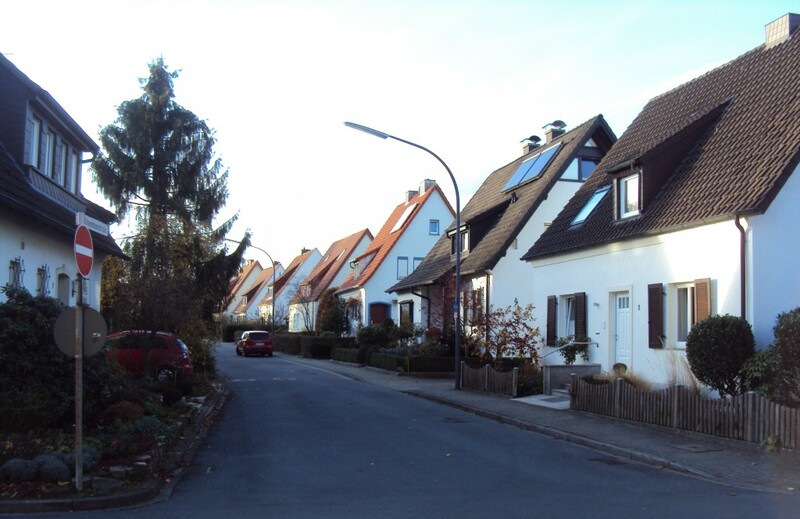 Altstadt (Old Town) Osnabruck covers an area of 1.71 km2 and houses nearly 9,000 people in apartments or houses in the city centre, giving a density of just over 5,000 people per km². Compare this to what the Hamilton Central City Transformation Plan tells us: the Hamilton central area is 1.29 km2, and is home to 3,000 people, giving a density of 2,325 people per km2. So like Altstadt Dusseldorf, the safety benefit of a 24-hour ‘eyes on the street’ population in Hamilton central is half that of Altstadt Osnabruck. Osnabruck has a university (opened in 1974) with a population of 11,000 students and 1,858 staff. Waikato University (established in 1964) has 9,900 Students and 1,480 staff. In Osnabruck the distance between the city centre campus and suburban campus is 2 km. Waikato University to Garden Place is 4 km. I counted 10 schools in Altstadt Osnabruck. Hamilton has 4 in the central city area if you count Hamilton West School. Altstadt Osnabruck is lively during the day and well into the evening and feels like the living/dining room of the city, rather than a business centre. During the Second World War, the inner city was badly hit by aerial bombardments, and 94% of it was destroyed. The northern part of the Altstadt still offers a historic view, partly through restorations, but the rest is a mix of post-WW2 building styles. Point to note: where there was more bike parking there were more people. What I did not see here in the city centre was fields of car parking like in Hamilton, even though motor vehicles are seen in the city centre in the morning. It appears to me they need to have a reason to be there. It is also clear that people have the right to dominate centre city streets, and we can see the benefits of this ‘people first’ approach by looking at their improving travel mode split: 2010 (2008) Car 53 (55), PT 16 (15), Bike 12 (11), Walk 19 (19). What helps the improving mode shift to biking is the use of good width cycle lanes. Also, many of the intersections are similar to the Dutch ‘sustainable Safety’ thinking: ‘Obstacle-free zones are the most important in this respect’. The evidence that this is working can be seen by the fact that parents allow their children to bike to school. Osnabruck has also increased the number of people using public transport. The Osnabruck bus network is 425 km long, divided into 24 lines, with 151 scheduled and special vehicles, has more than 800 stops and is used by about 36 million passengers. Hamilton’s urban bus network* has 26 routes (p22*) (5 Satellite routes) (p25*) and an urban patronage of 4.6m (p26*) (Regional patronage 1.7m). Interestingly, Osnabruck uses these bus trailers. I do not know what to think of these; I have ridden in many types of bus and I should of try this but didn’t. From my observations, people were using them. Hamilton’s bus service is good but under-performing. If has the potential to move 5 times the current number of people when benchmarked against Osnabruck. We have a praiseworthy network and a nice bus fleet in place; the key here is frequency. As you can see, Osnabruck and Hamilton are very similar in many ways, but to me Osnabruck feels like it is ahead of us. We need to change faster.